Ming and John flew over to New Zealand for their elopement in Auckland City. 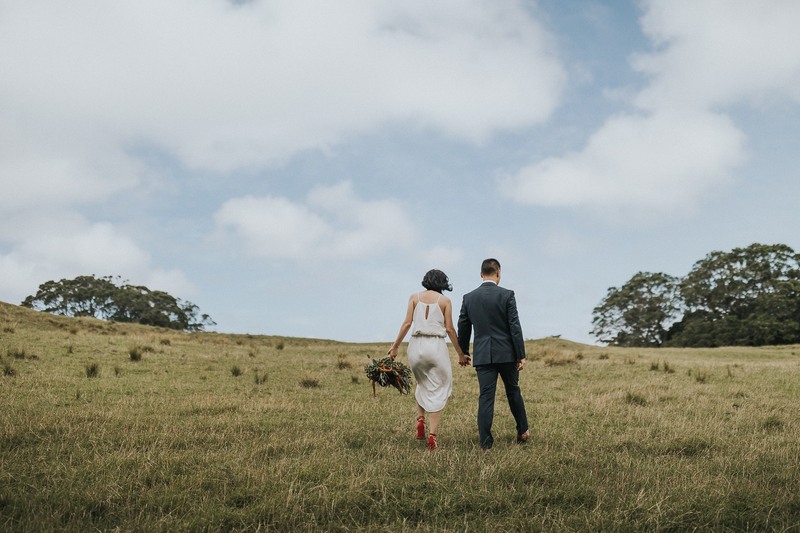 After the formalities, witnessed by their immediate family, we headed to Cornwall Park to mark the occasion with some beautiful portraits of the two of them. Thanks for trekking through cow poo for these shots guys! PS How amazing are those red heels? !